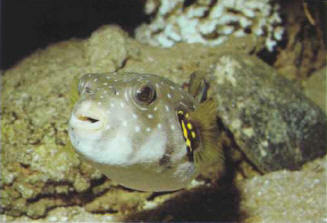 The stars and stripes puffer is not only aggressive towards other puffers but can also turn against smaller species if the aquarium is too small. It is easy to acclimatize and can sometimes be tamed. Size: 50 cm. МСВАТИ III (Mswati) Макхосетиве (р . 1968), король Свазиленда с 1986. Сын Собхузы II.